Northcentral University will host graduates and their families from around the world at this year’s graduation ceremony at Tim’s Toyota Center in Prescott Valley, Arizona on June 9, 2012. Christopher Gardner, the American entrepreneur, investor, stockbroker, motivational speaker, New York Times best-selling author, and philanthropist whose life story of perseverance inspired the movie The Pursuit of Happyness, will deliver the commencement address at the Northcentral University Commencement Ceremony this summer. He will share how hard work and tenacity transformed his life from homelessness to millionaire. A US Navy Veteran, Gardner found himself a single father in a dead-end medical supply sales job unable to make ends meet. Until the pivotal day when in a parking lot, he met a man driving a red Ferrari. Christopher Gardner asked him two questions: “What do you do? And how do you do that?” The man was a stockbroker and he was making $80,000 a month. Gardner’s own $30,000 annual income paled in comparison. Immediately, Gardner began knocking on doors and applying for broker training programs until the day he was accepted into the training program at Dean Witter Reynolds. 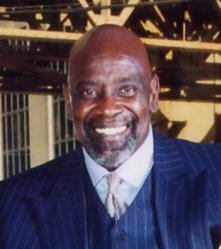 Chris Gardner passed his licensing exam in 1981 on the first try. He arrived early, stayed late and worked the phones day after day to secure new clients. He and Chris Jr. got an apartment, and in 1983 he joined Bear, Stearns & Company. In 1987 Gardner left to establish Gardner Rich & Company, Inc. The company has expanded into Christopher Gardner International Holdings where Gardner is Owner and CEO. Gardner is an active philanthropist reaching out to many programs serving the homeless. He serves as a board member of the National Fatherhood Initiative and was the recipient of the group’s Father of the Year Award in 2002. He is particularly committed to educational organizations, serving on the board of the National Education Foundation. In addition to the father of the Year Award, Gardner has also been honored by the Los Angeles Commission on Assaults Against Women (LACAAW) with the 25th Annual Humanitarian Award, and by the Continental Africa Chamber of Commerce with the 2006 Friends of Africa Award. “We encourage our community to come out in support of our graduates and hear first-hand from one of America’s great success stories,” said Dr. Clinton Gardner. The 2012 Northcentral University Commencement Ceremony is open to the public and can also be viewed live via webcast at http://www.ncu.edu on June 9, 2012 starting at 10:00 a.m. Founded in 1996, and located in Prescott Valley, Arizona, Northcentral University is an accredited, private, online university serving adult students worldwide. Northcentral’s weekly course starts—with no physical residency requirements—are designed to meet the needs of working professionals. Degree programs are customized to each student’s interests, and faculty and advisors provide one-to-one guidance to ensure academic success. Offering doctoral, master’s, and bachelor’s degrees in business and technology management, education, and behavioral and health sciences, Northcentral is regionally accredited by The Higher Learning Commission of the North Central Association of Colleges and Schools and the Accreditation Council for Business Schools and Programs (ACBSP) supervises the accreditation of Northcentral's School of Business & Technology Management. For more information, visit http://www.ncu.edu or call 1-888-628-2078.